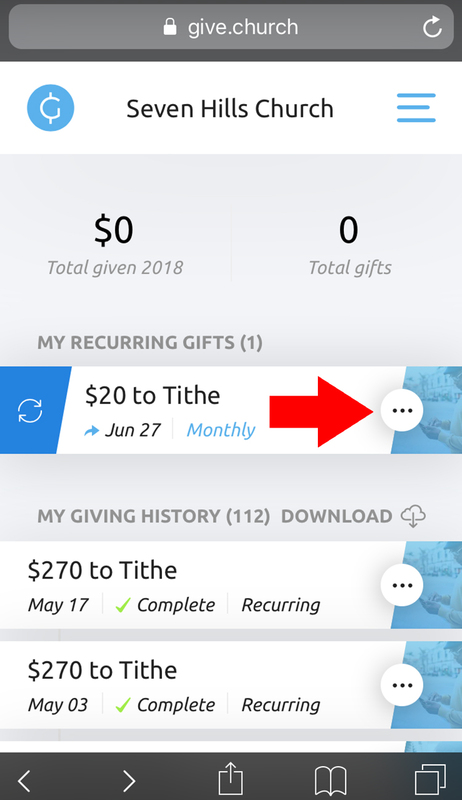 How to cancel your recurring giving. 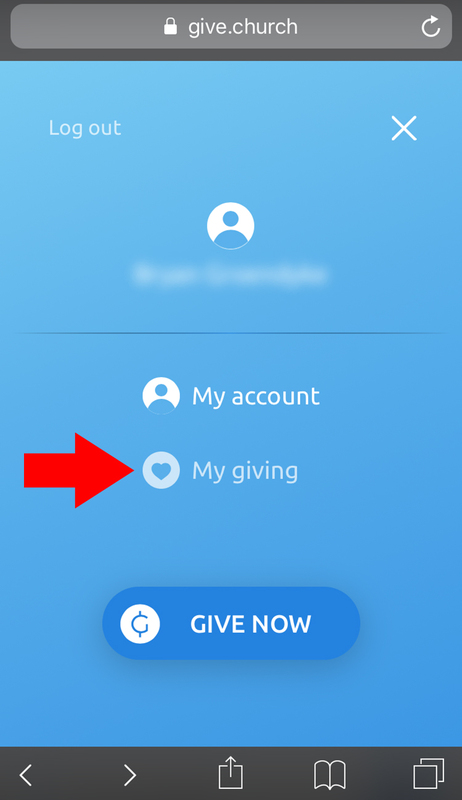 In the coming weeks, we will be transitioning to our new giving platform, Pushpay. This will make your online giving easier, faster, and more secure than ever. 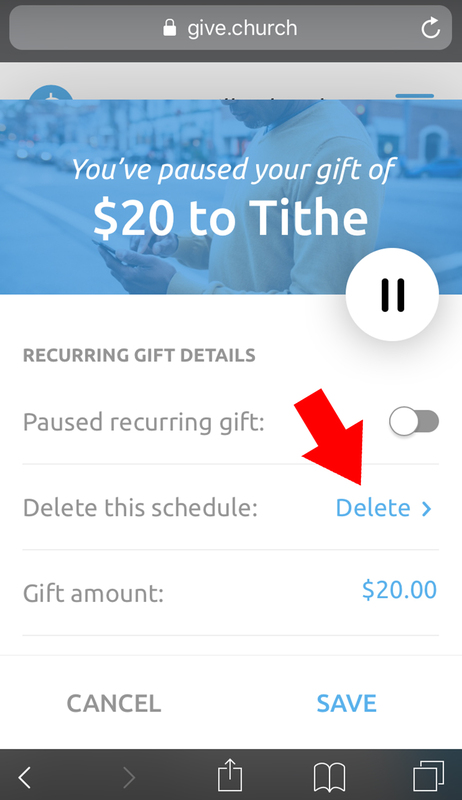 Follow these steps below to cancel your current recurring giving. 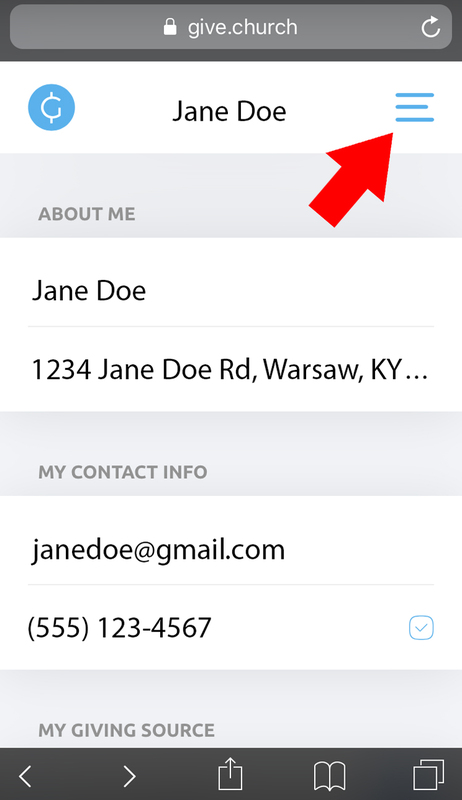 Once logged in, on a mobile device, click the menu button. 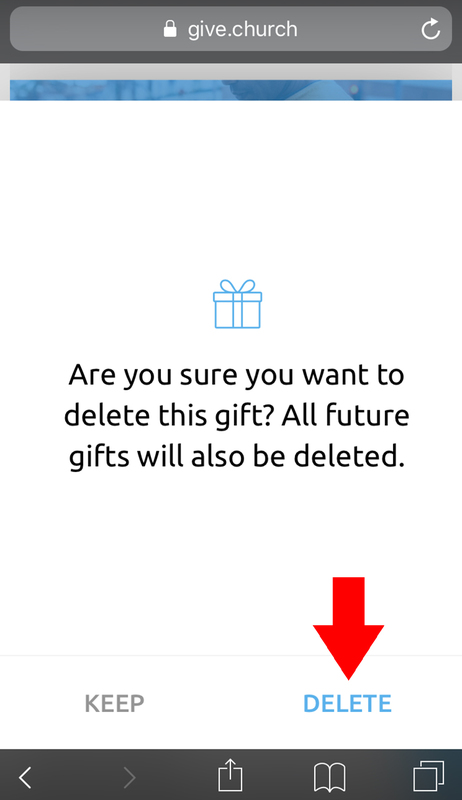 Click the … under My Recurring Gifts. 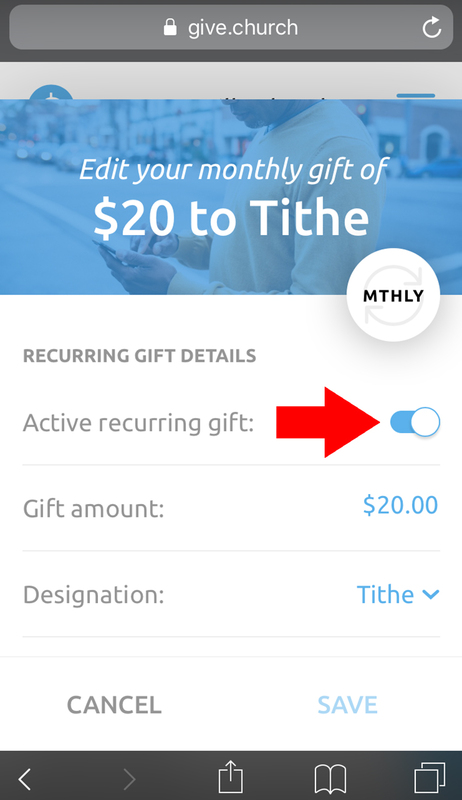 Click the slider to the right of Active Recurring Gift to make it inactive.